Archiving completed projects closes or archives the project from the project edit selections. Minimally, projects should be moved upon archiving the projects. Project Managers need to be trained as to this process, especially if the permissions change immediately after the projects move. 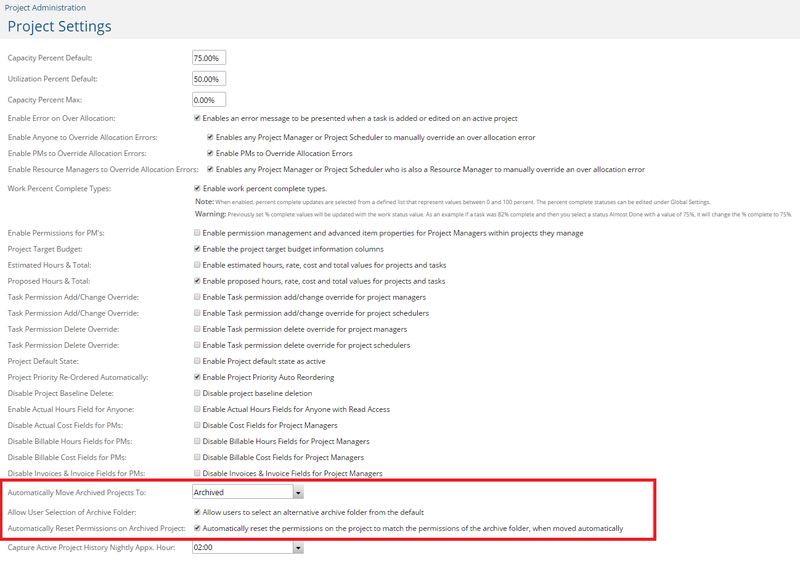 While this automated change in permissions is a good practice, the Project Manager must be aware because they will immediately remove the project manager's control from further changes without an intervention of a system administrator. Otherwise, run reports with Archive status to see these projects as historical data.